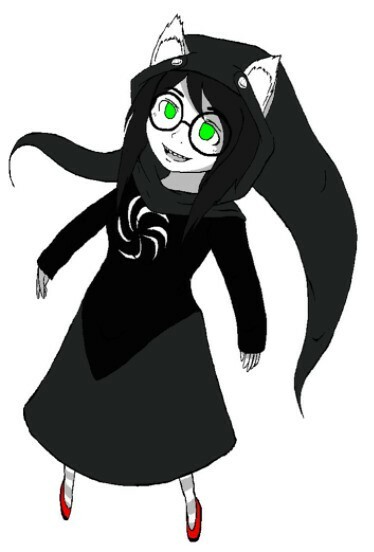 I don’t really know anything about Homestuck or Jade Harley or God Tier. 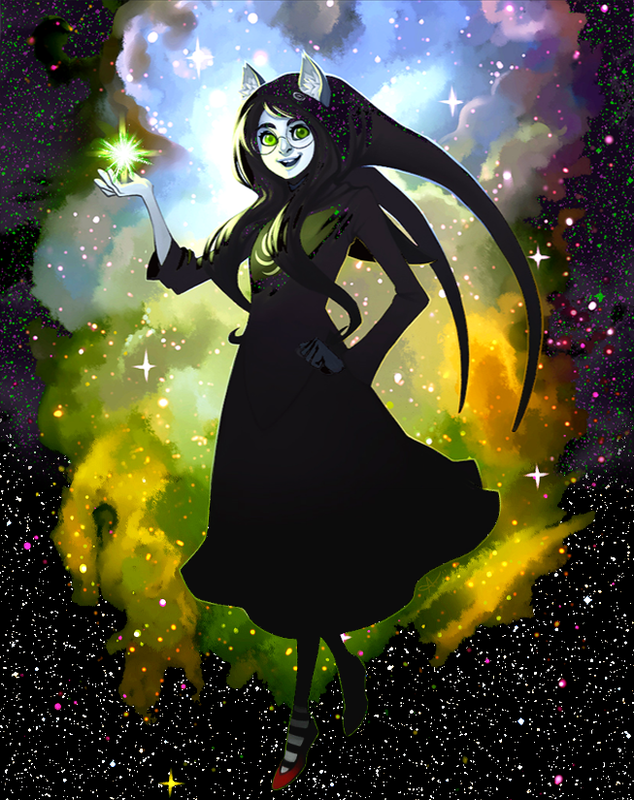 I tried watching one “episode” of Homestuck and had absolutely no idea what was going on! You’d have to ask my daughter. Most of this outfit was straightforward to create. 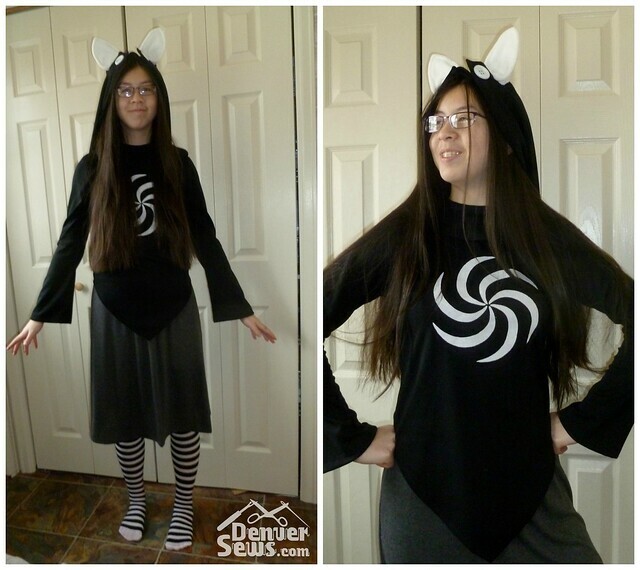 We made a skirt, top, ears, and a hood. The striped stockings and red shoes were purchased. The most difficult piece to construct was the hood and I’ll try to describe my thinking about how to construct it later. 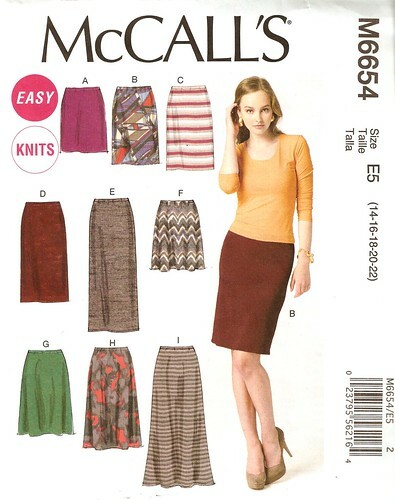 The skirt was made using McCall’s 6654. 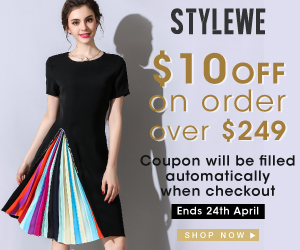 The pattern is for a basic knit skirt with elastic waist band. 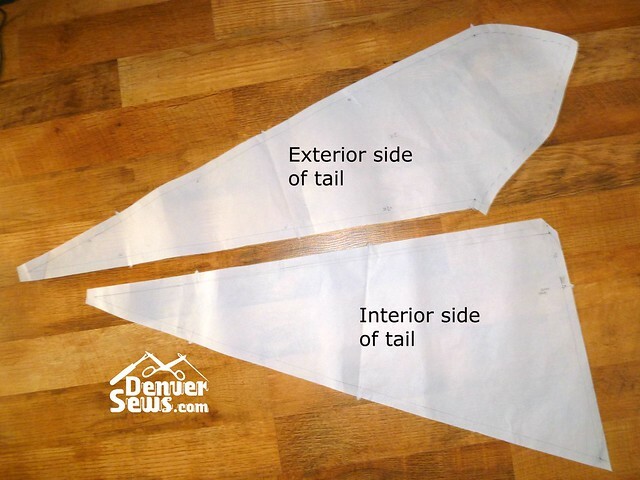 One variation is more of an A-line fit and the other has a wider hem. I used the pattern for the fuller skirt and cut it to a mid-length. The fabric chosen was a dark grey knit from Colorado Fabrics in Littleton, CO. No problems so far! The fabric was some black ponte knit. To put the swirly thing on the top, I used my Brother ScanNCut! My daughter found an image of just the swirly thing. I printed it out and scanned it with the ScanNCut to generate a cut file. I then prepared the fabric for cutting. 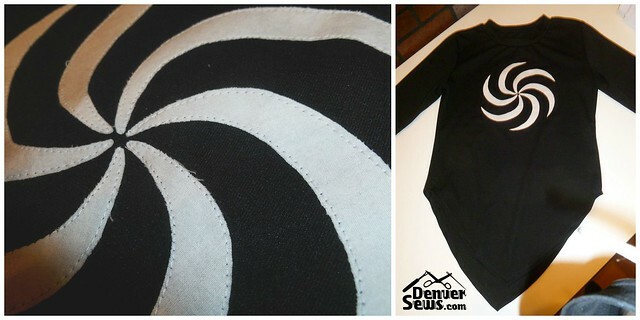 The fabric I used was a lightweight knit. I fused some Heavy Duty Wonder Under to the back of it and rubbed it firmly onto my standard mat (after removing the paper backing). Following some settings I found while working on another project, I proceeded to cut the swirls on the ScanNCut. I actually had some difficulties with this process – the fabric would remove itself from my cutting mat and I’d have to stop and try again. In retrospect, the fabric was just a little too lightweight to cut easily. Next time I would definitely try a sturdier fusible interfacing (perhaps HeatNBond Ultrahold) and perhaps a heavier weight fabric. I would also use low-tack tape to tape the edges of the fabric down to the non-sticky parts of the mat. This was definitely the hardest piece to engineer. 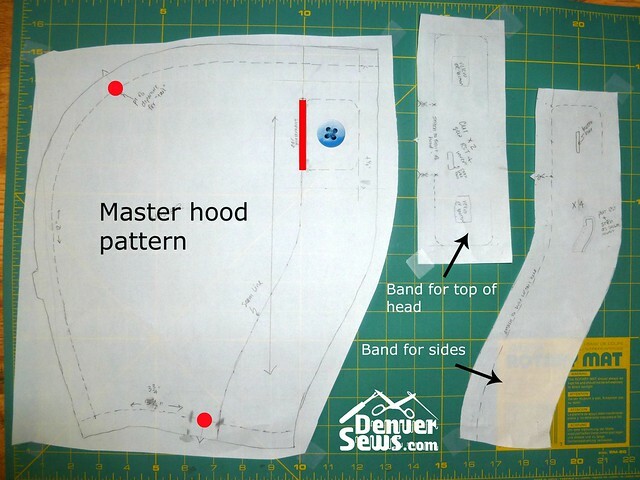 I started with a hood from an out-of-print Simplicity pattern that I have, 3640, for a hoodie. I started with just the hood pattern. 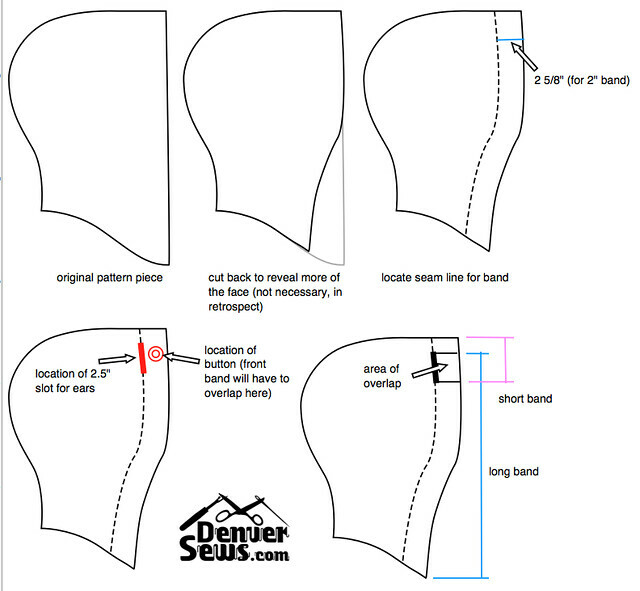 Here are some descriptions of how I modified the pattern to (1) make two slots for the ears and (2) make two tails to hang in the back. 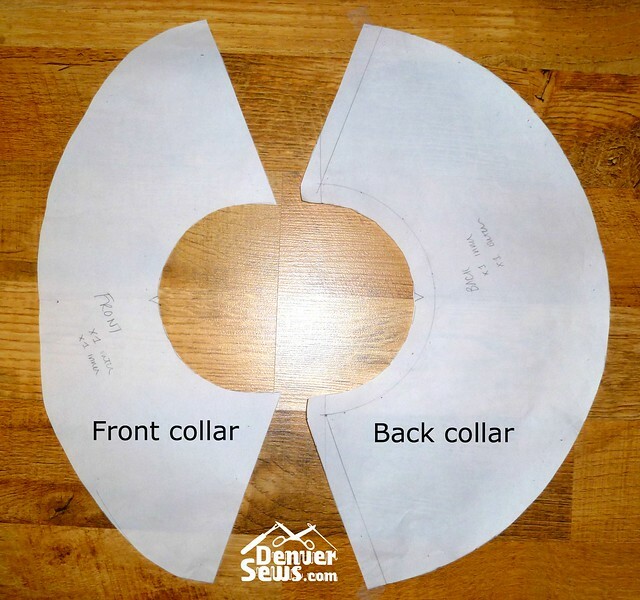 I also drafted a collar that was supposed to hang all the way around the neck. In retrospect, there are three things I would change next time. (1) No need to reveal more of the face (2) the back of the hood needs to be tightened up against the head more (there was too much fabric hanging between the two tails) and (3) the front collar needs to be wider. 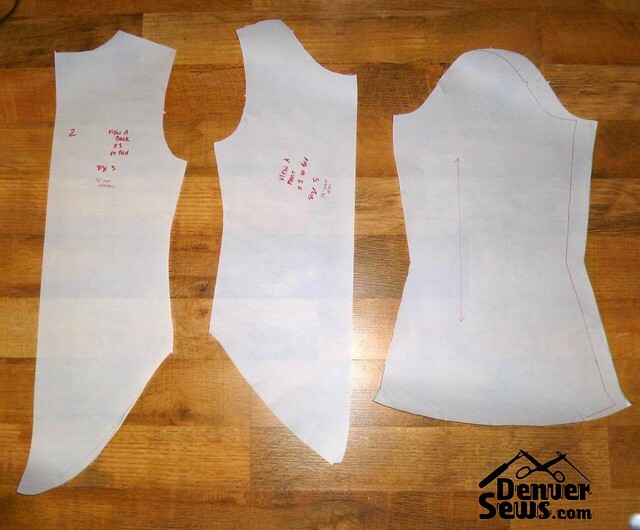 Here are photos of the actual pattern pieces. I made two ears using a some soft fuzzy fabric I had and some batting to add some body. 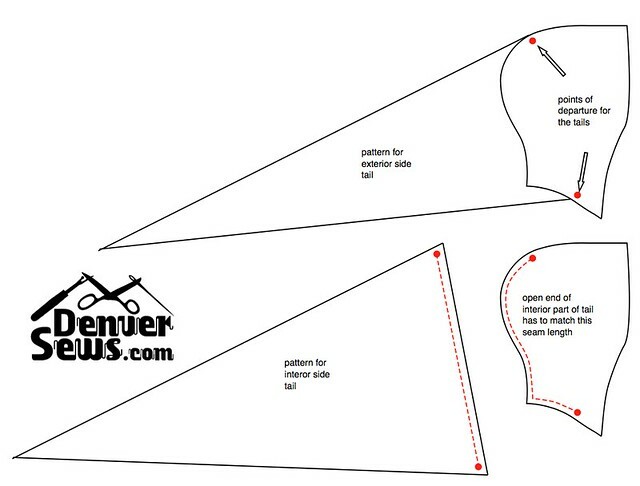 I sewed the lower two points of the ear to the inside to give the ears some shape. We found a plastic headband with little plastic cleats underneath to hold the headband in place. 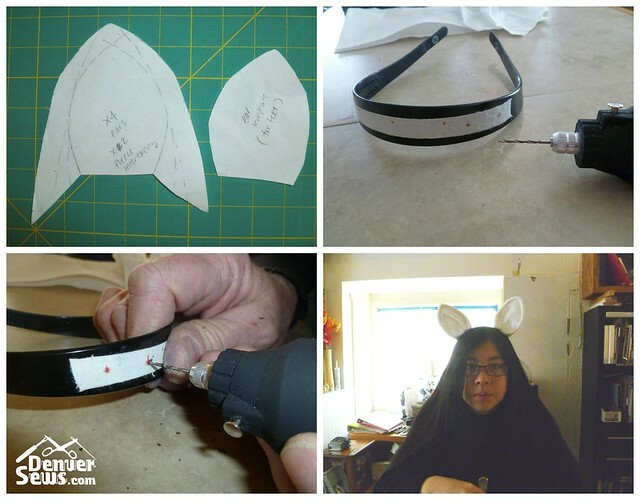 My husband drilled two small holes in the headband so that I could anchor the ears to the headband with some thread. I then used hot glue to further hold the ears to the headband. To finish out the outfit, we purchased striped stockings and red shoes. All done! Every time I make a new cosplay outfit for my daughter, I learn new things and I mess things up. But I don’t get a chance to fix the things I feel could have been done better. On the one hand, I wish I could do it again and on the other hand, it was so much work I don’t want to do it again! I guess I’ll let me daughter guide this process by her choice of what outfit to make next! How did this take to make? Wow, Lynne! 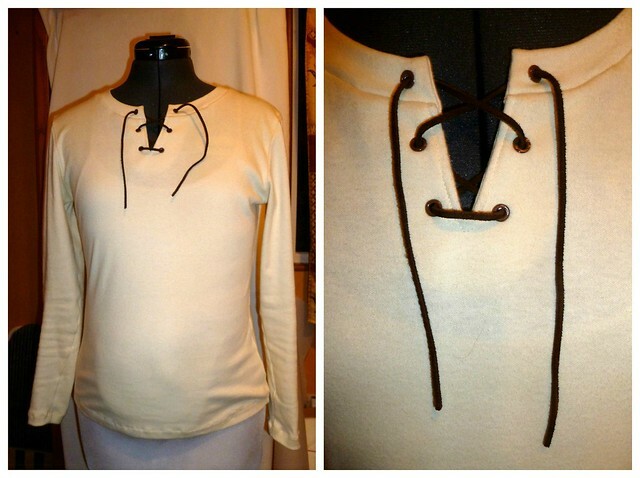 You’ve created another fantastic costume that shows off your incredible creativity and envy worthy sewing talents. Well done!! !